There is much debate these days amongst people significantly cleverer than myself about the exact nature of time, and indeed whether the past somehow exists alongside the present and future in some sort of gigantic cosmic version of a CD. Or so it seems to some. Who knows? Somewhat regrettably, consideration of these fascinating ideas remains largely absent within the hallowed corridors of Charlton Athletic; where presently there seems to be little interest in the past, and not a great deal in the future either, based on recent appointments. Indeed, our beleaguered CEO has declared effectively that she has no apparent time for the history of CAFC. Now it may be that her meaning behind this untimely observation has been misconstrued somewhat, or taken in the wrong context ; and I am sure she can correct any misunderstandings perfectly well herself. 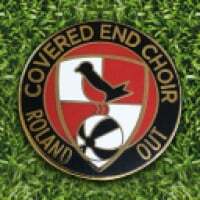 Now whilst the present is certainly not terribly palatable at CAFC currently, the past and history of the club offers some crumb of comfort and interest to the bewildered supporter. And it is of course the sense of history about this club (and indeed any other) that is the fundamental factor that unites and compels supporters in their belief and loyalty to the "brand". Supporting Charlton is completely driven and interwoven by a sense of shared history. Fundamental to owning and running a football club should be the understanding that history plays a part in THIS business like few others. For instance, it is unlikely that the wife and I would trawl through our order history on Amazon and go : " Do you remember when we bought that kettle, dear? I can still see the look on your face when we had our third cuppa in the 92nd minute"
They will regularly recall the ups and downs of the fortunes of Charlton Athletic, with teams and games that can both crush and inspire dreams and hopes within minutes of each other. This club is uniquely tied to its location and home; but the heart of Charlton Athletic beats soundly within its supporters down the generations. Each club has a unique history and it is precisely that past which supporters embrace, and which keeps them returning. And I would suggest it is especially true at Charlton. Football support is an overwhelmingly emotive exercise, not often embedded in too much rationality which is probably much as it should be. We can forgive shocking performances, missed open goals as much as we can celebrate skill, glory and passion for the cause. That is what it is all about. Those moments in history. We can get over the disappointments. What we are less likely to accept is a disregard for who we are and how we got here. I would suggest that it would be a mistake to ignore or downgrade the past of this club. It IS the club and arguably it still remains the way forward. It seems obvious that your past informs and frames your current and future. It seems obvious that you can use the experiences of organisations and individuals to prevent repeating previous mistakes. Organisations shouldn't live in the past but they also need to realise that the past is important for emotional and practical reasons not least marketing the club to existing and future fans. Maybe they don't have history in Belguim or more likely admitting that there are other people who've actually done the job might make certain people feel insecure about their own lack of experience and constant stream of mistakes. Some years ago, in fact many years ago, I remember an article in the old “Voice of the Valley”. A Charlton fan was walking down Whitehall, much the worse for wear after witnessing in a pub England soccer team’s elimination from a competition. European or World cup. (I can’t remember the actual detail). While waiting at a bus stop, the alcohol got the better of him and as his bus approached he fell into the road in front of the approaching vehicle. At that moment his life flashed before him. No, not his two ex-wives, nor his school days or his Eltham childhood, none of these happy or traumatic events in his life. No. The vision of Derick Hales Scoring a brilliant goal in the covered end flashed before him. Amusing though that tale is, and apologies if I have not remembered the exact detail. But for many of us throughout our lives, girlfriends and even wives come and go.Players, managers and owners come and go. We move jobs and houses etc. etc. But the one constant in our lives is our club. He had supported his team for sixty years and fifty nine and three quarters of those years had been pure misery. He couldn’t remember the quarter that was pure joy, but then he was a Millwall supporter!! Enjoyed reading that 3blokes. Particularly on this sad day in Charlton's history with the fans protest planned at the Valley. It would've been Alan Campbell, for both categories! Our history has shaped who we are and therefore the very culture of our club. I think it's sensible to consider that cultural change is needed for the club to progress, but cultural change needs the buy in of those you're changing. And it's evolutionary, not something that can be achieved overnight. Success is also heavily dependent on communication. I'm proud of our history. 10/10 Jon and go to the top of the class. And what did he ever achieve? Bring car insurance down a few quid..? ?